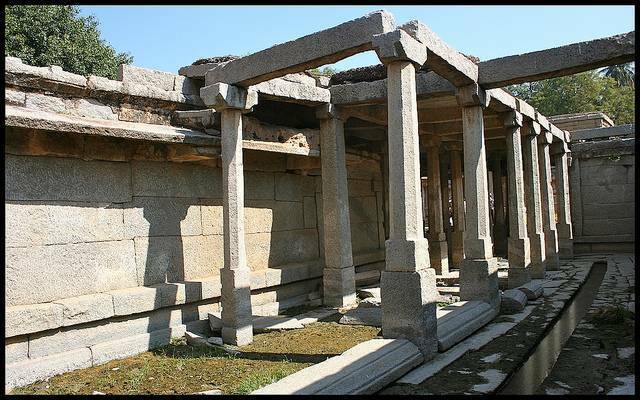 Riverside Ruins in Hampi can be accessed beyond the Kodanda Rama Temple in the southern bank of the river. Travelers can come across 108 and 1008 Shiv Lingams here. Row of Pavilion and motifs on large boulders are placed in contrast manner along the riverside. Lord Shiva is the principal deity in these clusters of ruins. A coracle ride to these is possible when waters of the river are calm which, mostly is not the case is in Monsoon season.